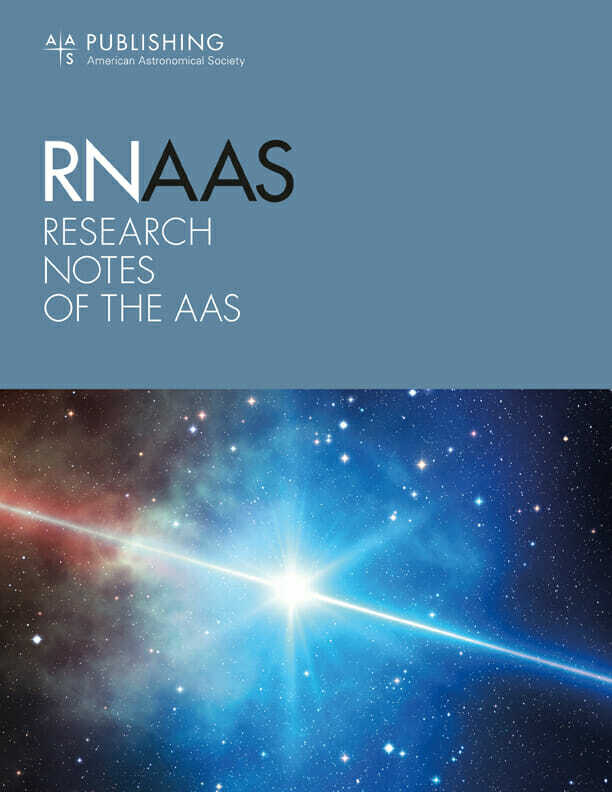 The Astrophysical Journal Letters is the premier journal for rapid publication of high-impact astronomical research. ApJL publishes brief reports on the most influential developments across astronomy and astrophysics. The journal specializes in articles that are timely, containing new discoveries and results that have a significant immediate impact on other researchers. Articles published in ApJL are self-contained, including context that is generally understandable by scientists who are not specialists in the particular fields. The Astrophysical Journal Letters began in 1967 as a Part 2 of The Astrophysical Journal, whose editor at the time was Nobel Laureate S. Chandrasekhar. He cited the need for a separate publishing schedule that allowed astrophysicists to rapidly publish short notices of their “spectacular developments in astronomy,” (S. Chandrasekhar, 1967, ApJ, 148, 1).